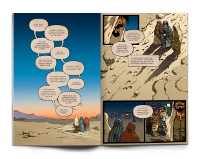 A faithful and contemporary graphic realization of Luke 22-24 for young adults and teenagers. Uses the HCSB. 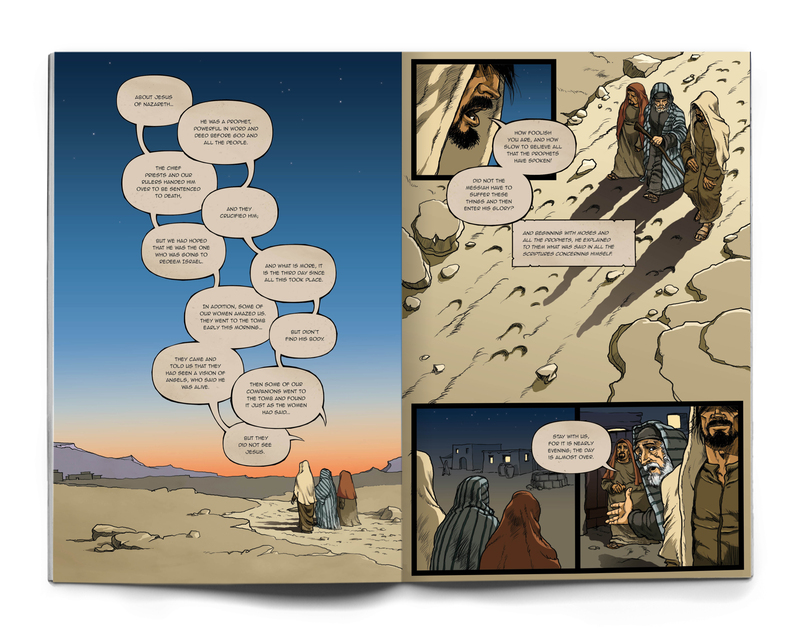 The first in a range of short graphic-novel-style books faithfully illustrating the unadorned text of the gospel of Luke. It has a gritty, contemporary feel to it that is far removed from the clean, bright, graphic versions of the Bible already available for younger children. 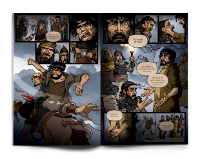 This resource will introduce the biblical account of Easter to teens and young adults who enjoy reading illustrated graphic media. 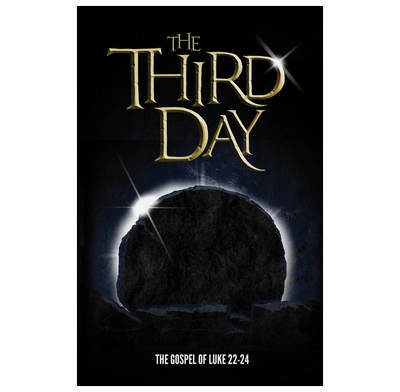 The Third Day covers the Gospel of Luke chapters 22 to 24, the betrayal, death, resurrection and ascension of Jesus Christ, using the HCSB. Please note: this product contains images of violence and crucifixion which may be disturbing for young children. Please look through the book first to ensure that it is appropriate for the children who will be reading it. 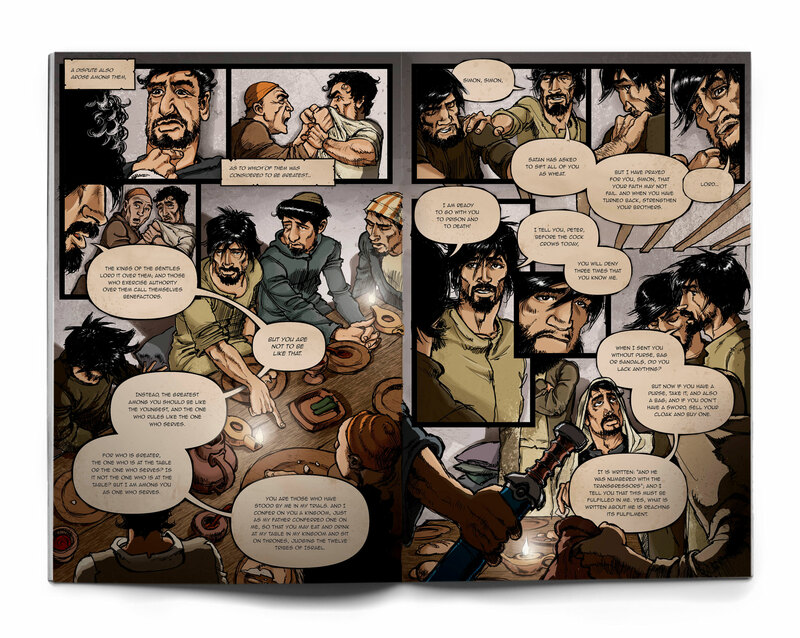 Click to see these sample pages! 6.6" x 10.2" x 0.4"
We read the Third Day before giving out to teenagers. There are no comments so far. We are OAP's, this format is new to us but we pray that all who read this book have taken it to heart and have more understanding of the death and resurrection of our Lord and Saviour. I bought a copy of this book for my Godson Tom, aged 12. He has some dyslexia and doesn't enjoy reading all that much - this is what he texted me: "Thank you for the book, it explained the third day so well and the pictures were really good". Can't get that much better than that! I got this on Easter Day and was riveted, despite knowing the Easter story inside out! The artwork is fantastic and really draws you in. I imagine it's aimed at teens rather than toddlers, but I have young children who weren't put off by the graphic nature of the story, so it's not too gory, despite the subject matter. Get this. In fact, get 5 - you'll want to give some away. This is primarily a terrific vehicle by which to reach a younger audience because of its formatting and style, although the use of Luke's text makes it so much more than a mere comic and it will accordingly have a far wider appeal. It is a perfect present for Easter that will distract from the chocolate-fest and remind us of what we celebrate on Easter Day. Having seen some of Alex's previous work I was in no way surprised by the outstanding talent seen on these pages, and I very much hope that this will be the introduction to a larger body of work. I have shown this book to several people and the comments have been very positive. All wanted a copy! I enjoyed the pencil sketches at the beginning - to see the talented work of the artist and how the characters in the book had been created. The layout of scripture is clear and easy to follow. Comments from others: 'This book really meets a gap in the market'. 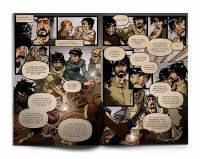 People involved with missionary work have also requested copies. It is ideal for older teenagers. The 'masculine' image of Jesus will appeal to this age group. Feedback from a male 17 year old was that 'he liked the pictures'. This book has great potential for inner city outreach and evangelism. An excellent resource.